As kids get older, it’s important to start teaching them how to identify basic shapes. In real life, they’re going to see circles, squares, rectangles, hexagons, and more. There are several questions surrounding this topic. For instance, where do you start teaching basic shapes to your kindergartener? 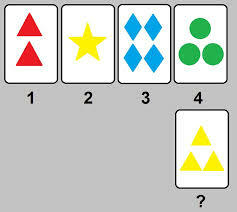 What’s the importance of your child’s understanding of basic shapes? And, why is it so crucial that you teach them about basic shapes in the pre-kindergarten years? 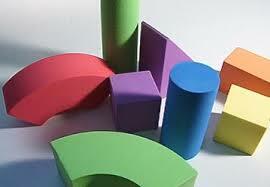 Very early on (in fact, practically from birth) kids can identify specific shapes. But, they may not know how to name them. It’s important that parents are patient during the process of learning how to name shapes given that it is an abstract concept. Learning basic shapes is so important, because it strengthens kids’ mathematical skills and sets the groundwork for other skills that they are going to need to learn in the later grades. How do pre schoolers use geometry? It’s simple. They’re learning how to sort shapes and objects into groups that are “the same” (try puzzles or shape games online!). This gives them a grounding in problem-solving and analytical skills. They learn how to manipulate shapes in their minds, and learn how they apply to real-life situations. As they grow older, they’ll develop more complex skills that will lead them into career choices. You might not think of math skills as having anything to do with reading, but the reality is that they are very much connected. Letters are actually just shapes, and math is a language. So when kids are learning math, they’re actually learning how to identify shapes that translate into letters. Most small children actually learn letters based on shapes, which come from mathematics. Of course you don’t want to discount the fact that teaching about shapes helps your youngster to develop his or her artistic skills. Children express themselves through all manners of art, including coloring, painting, sculpting with play-dough and more. They’re using shapes and colors to express themselves, and knowing the types of shapes that work best will help him or her to create what’s in the imagination. Even younger kids who don’t have the words to describe what they want to create can use shapes and colors to express what they’re feeling. You can take the time to help your kids to express themselves through art and basic shapes. You’ll be helping to prepare them for kindergarten, and also develop a knowledge base that they’ll use for the rest of their lives. There are many benefits to taking the time to teach your young children these seemingly simple concepts. You are not simply preparing them for kindergarten, but building a base of knowledge that they will use for the rest of their life! So take your children out to play and learn. Help them learn about shapes and how they work in the real world. You’ll be giving them an edge over other kids, when you help them learn about shapes in their pre-kindergarten years.